Each year, The World Gin Awards select the very best in internationally recognised styles of gin. It’s a truly global celebration; the World Gin Awards select and promote the world’s best gins to consumers and trade. This year’s caliber was no exception. Across a multitude of categories, judges had the very hard job of taste testing the finest gins from aross the world. The first round of the judging process is blind tastings conducted by independent spirits experts, including drinks writers and educators. From their scores a winner is selected for each category and country. 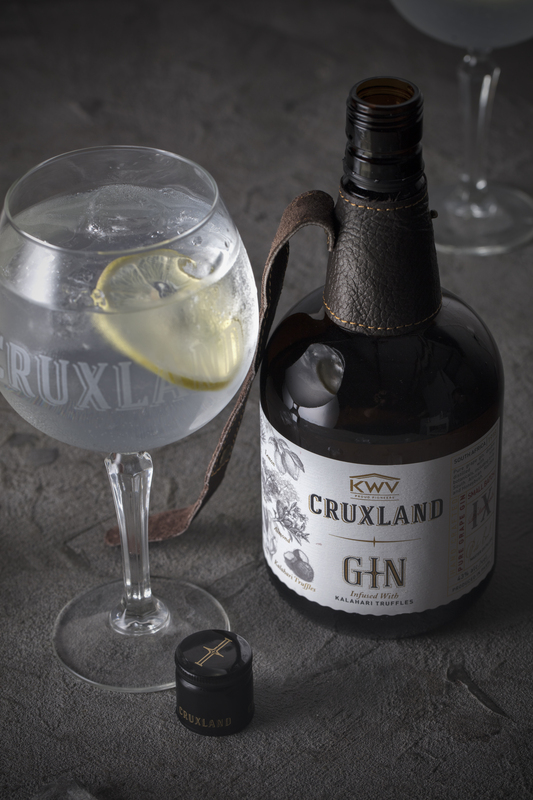 Cruxland is a premium and world-class gin distilled by KWV, in Paarl, South Africa – around 50 minutes outside of Cape Town. “It’s a great feeling to know we work on such a great brand with an amazing team who all deserve this accolade. From the cleaners, to the distiller and our customers, this victory is for all of us” say Cruxland’s Marketing Manager, Jerome Adonis. To make Cruxland Gin, the KWV team produces a neutral wine spirit. This spirit is then placed into the 500-litre pot still alongside a makeshift teabag containing the majority of the botanicals. Kalahari Truffle distilled separately, and doesn’t meet the rest of the botanicals until long after the run, where the two distillates are blended along with additional grape neutral spirit and cut down with water.